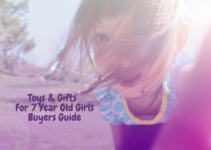 Whether you are shopping for your own daughter, a niece, or a neighbor, it can be challenging to select the best toys and gifts for 9 year old girls. Girls this age vary wildly in maturity level, some acting like little kids and others acting like teenagers. Some girls are beginning to enter puberty and deal with all the changes and mood swings that accompany it. 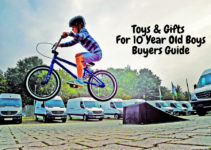 These changes should be taken into account when purchasing a gift, as children this age are easily embarrassed. 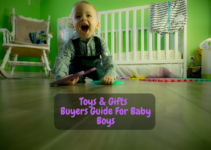 Here are some of the things to consider when selecting a toy or game for this age group. • Playing is still incredibly important at this age. Girls need to build on the developmental skills they’ve already learned in previous years. Imaginative play also allows girls to work through the complicated feelings of puberty. • 9-year-old girls have lots of energy, so any game or toy that facilitates physical activity is a good idea. • Friendship has become crucial. Girls of this age love to participate in games that allow them to play with their friends. This is the age of sleepovers and secrets, so giving girls toys that enable this will be appreciated. • Girls of this age are naturally curious, can think for themselves, and want to be independent. Art-based or creative activities can allow them to experiment with this newfound individuality. • Some girls will become extremely interested in how they look, needing their hair or clothes to be a certain way. This is a transitional time for children as they try to find their identities moving forward into puberty. It is important to be sensitive and supportive as they find their place in the world. • With this independence comes a desire to play a more active role in the family structure. 9-year-old girls are often looking for more responsibilities and to have a say in things going on in the house. Nevertheless, it’s important to remember that these girls are still children and should be given appropriate toys and games. As mentioned, friendship is everything at this age. This slumber party game is designed for groups of three of more players and provides fun for an entire night. Girls will perform different stunts, activities, and performances, all while laughing and forming closer bonds. Sleepovers for girls this age often require a little structure, so providing a game like this really gets the party started. It’s also a great way to get the girls off their phones and start interacting with each other. The performance aspect of the game is great for budding thespians, but also provides a chance for shyer girls to act out a little in a safe environment. Games like these are the basis of slumber party memories girls will have for years! This kit offers girls the opportunity to take on increased responsibility while also learning about science and having a great time. 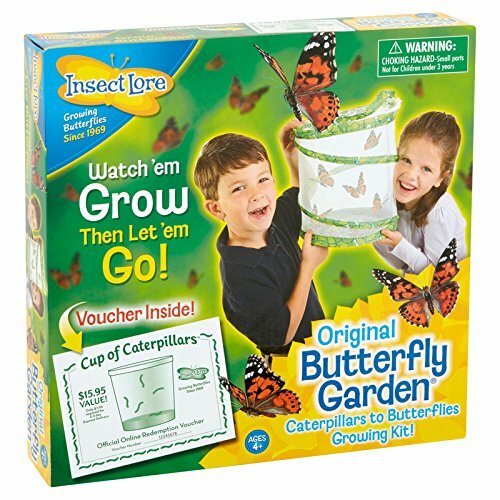 The kit comes with a reusable mesh butterfly habitat, feeding instruments, and a voucher to send off for live caterpillars. Once the caterpillars arrive, girls can watch them grow, feed them, and eventually see them emerge as beautiful butterflies. Girls will feel important as they care for these new pets and be thrilled when they’re finally able to release them into the wild. The process is a fantastic way to get girls invested in science, which is especially important as this is around the age where girls tend to become less interested in STEM subjects. Since the habitat is reusable, you can do this activity as many times as you’d like. 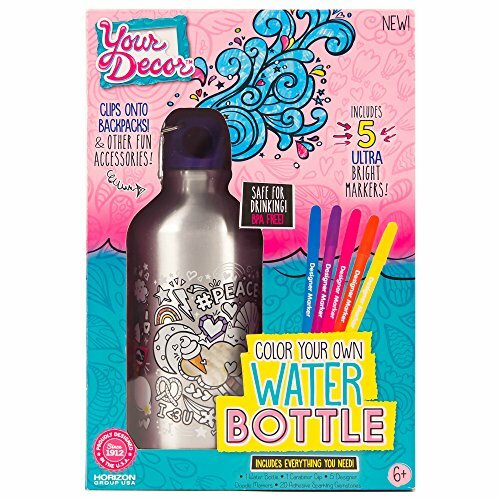 This BPA-free water bottle offers a creative activity for girls that can be done alone or with a group of friends. Girls will be able to express their individuality through a large variety of designs and colors. Coloring on a water bottle is actually somewhat challenging, so girls will also be able to test their skills during the creative process. The best thing about this gift, however, is how it nurtures self-esteem. Not only will completing this project satisfy girls, they’ll also be reminded of their accomplishments on an everyday basis as they use the bottle. Furthermore, switching to a BPA-free bottle is an eco-friendly decision that can open up conversations about taking care of our world and making smart choices. Nerf guns are not just for boys! As mentioned, girls of this age are incredibly physical, often playing to the point of exhaustion. This fun foam shooter allows for hours of fun and physical activity. Running around with a Nerf gun is a much easier sell than trying to convince a smartphone-obsessed tween to go for a walk around the block. 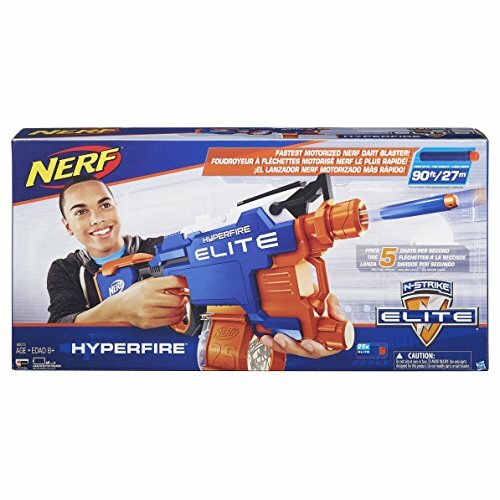 This blaster also gives girls the chance to work on their fine motor skills as they attempt to hit targets. More importantly though, giving this toy to a girl shows them they do not have to only participate in activities “for girls.” Girls at this age are trying to figure out their identities, so encouraging them to be exactly who they want to be and make choices independent of what’s popular is crucial. 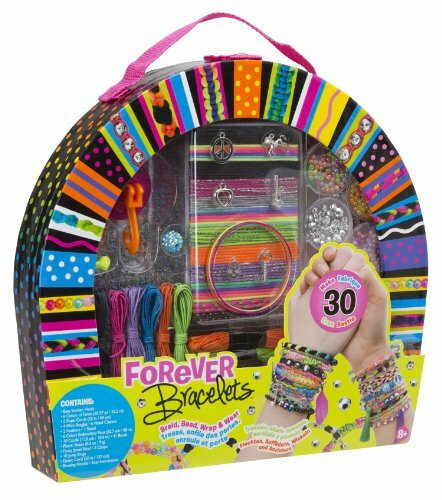 This bracelet making kit offers a fantastic way for girls to practice their fine motor skills while also spending time with friends and expressing themselves creatively. The handy carrying case brings enough embroidery floss and beads for 22 bracelets, making it perfect for sleepovers or birthday parties. An included instructional booklet on creating different weaves like hearts and flowers gives girls the chance to try following directions to learn a new skill. Girls will feel empowered learning a new skill and can wear their bracelet every day as a reminder of both their friendships and their crafting abilities. The girls will also have a fantastic keepsake to remember the event. Additionally, this kit offers girls a relatively cheap and easy option for creating gifts for their friends. Your child can take extra pride at the next birthday party knowing the she made her friend’s gift all by herself. Kinetic sand is one of the most buzzed about toys on the market right now. In keeping with the slime trend that children across the world love, but much less messy, this sand provides kids with hours of entertainment. Kinetic sand is basically sand that always feels wet and sticks to itself, meaning it can be molded and shaped into virtually anything. The sand doesn’t dry out, which means it can be used over and over again. Girls will love expressing themselves creatively by using the included molds to build sand castles and pyramids. Even though it seems like just fun, making model buildings with this fun material teaches children spatial reasoning skills and geometry! The material is non-toxic and mess free, so there’s not need to worry if any drops off of the included tray. Girls will also be able to repurpose other toys to help with the molding of the sand, giving new life to old items. 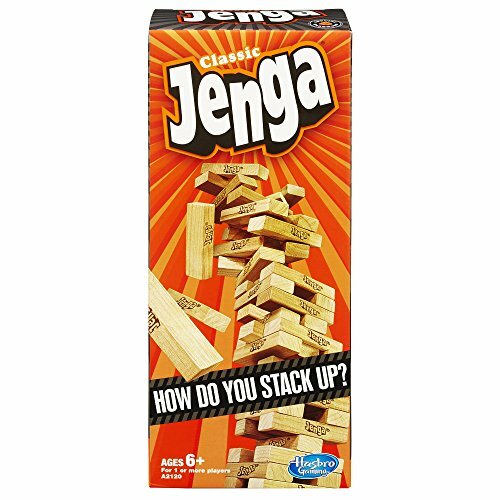 Almost everyone on the planet has played Jenga at some point in his or her life. The game is an absolute classic and a staple of childhood. It’s a classic for a good reason, however, as kids still enjoy playing the game in 2018. If you’ve never played before, the concept is simple. The game begins with a stack of blocks arranged into a tower. Players then take turns carefully sliding out a block and placing it on top of the tower. The winner is the person who can pull out the most blocks without knocking the tower over. One of the greatest things about this game is that girls can actually play by themselves, trying to beat their personal record. Of course, you can play with lots of friends as well. Although great fun, Jenga requires strategy and patience – important life skills for growing girls to develop. At this age, girls are starting to become very particular about their appearance. Starting to experiment with different looks is par for the course and should be encouraged. A great way to allow for this experimentation is with these temporary hair chalks, which allow girls to paint their hair in fun rainbow colors that easily wash out in the shower or bath. Colorful hair is quite the trend right now, so girls will feel very mature painting their hair to match their favorite celebrities. 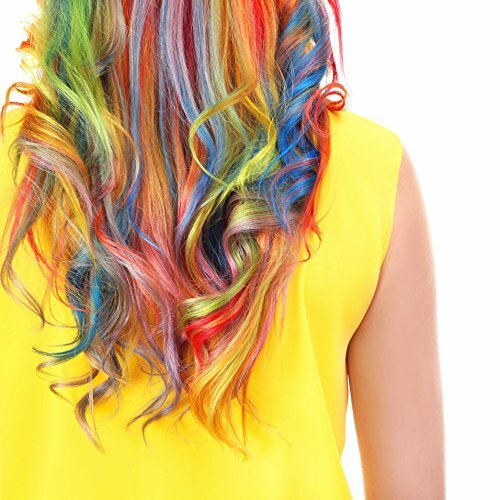 These chalks work on all hair types and colors, so girls can share with their friends at sleepovers and parties. With 12 different colors, there are tons of combinations girls can do, allowing them to express their creativity. These chalks are non-toxic and don’t stain, so parents will also love knowing that their home and children are safe. Mermaids seem to be everywhere right now – from makeup and clothes to accessories and toys. This game takes this trend and turns into a unique form of cooperative board game that teaches girls how to work together while still having fun. Unlike a traditional board game, girls have to work together to win. 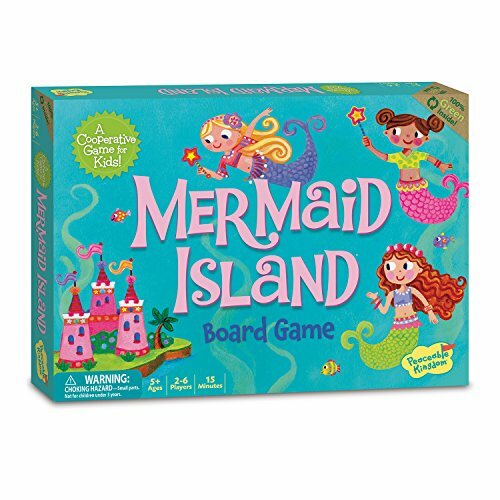 The goal is to get all of the mermaids to the castle before the sea witch, which requires strategy and shared decision-making. At an age when friendships are so important, girls will work on their social and emotional development as they play. They’ll also work on following directions and their cooperation skills. Parents like that the game is fast-paced and keeps children’s attention for up to an hour. Since the game is dependent upon teamwork, it becomes new each time a different group sits down to play. 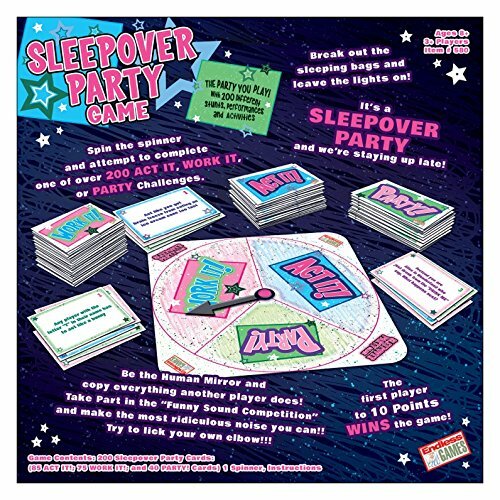 Perfect for slumber parties, this game helps girls strengthen the friendships that they will come to rely on even more as they enter their teen years. You’ve probably heard a lot about bath bombs in the last few years. These bath items are a certified phenomenon in the bath and beauty world, with the YouTube hauls and articles in magazines to show for it. They’re colorful, fun, and a little luxury that can make a normal bath feel like a spa experience. For the 9-year-old girl looking to feel grown-up and pampered, they are a fantastic option. Getting the girls to make them however, adds some education into the pampering. 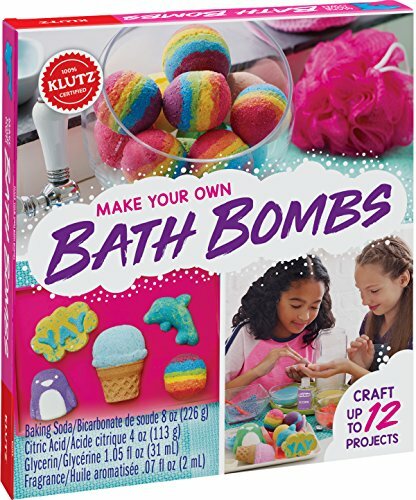 This kit comes with a 32 page instructional book that teaches girls how to make up to 12 bath bombs. The ingredients included are kid-friendly, unlike online tutorials. The best part of this craft, however, is that it essentially provides girls with two activities – a science experiment and a relaxing bath.